Inocon (GH) Limited is the Authorised Distributor of Roser in Ghana. 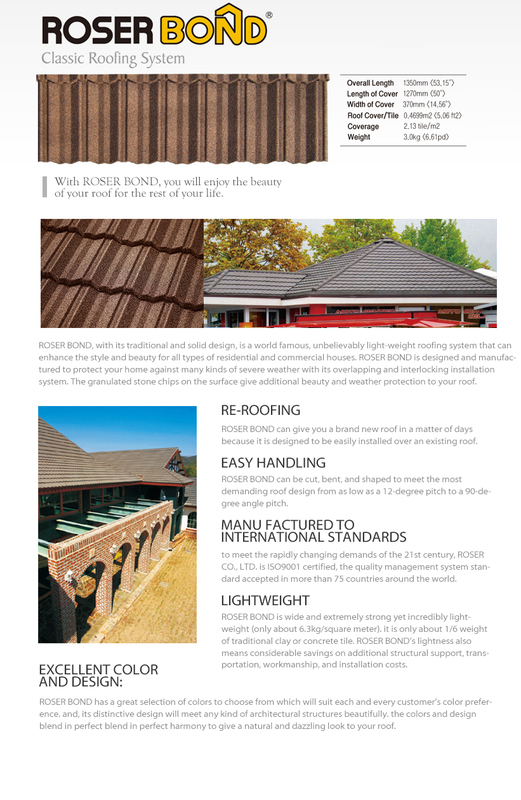 stone-coated and satin-finished roof systems in Zincalume protective steel. We have in stock this amazing roofing tiles. Please visit www.roserghana.com for more details.